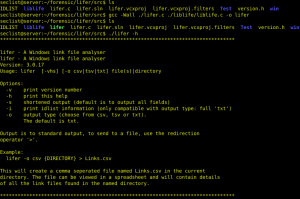 Browse: Home / lifer – A forensics tool for Windows link file analyzer. 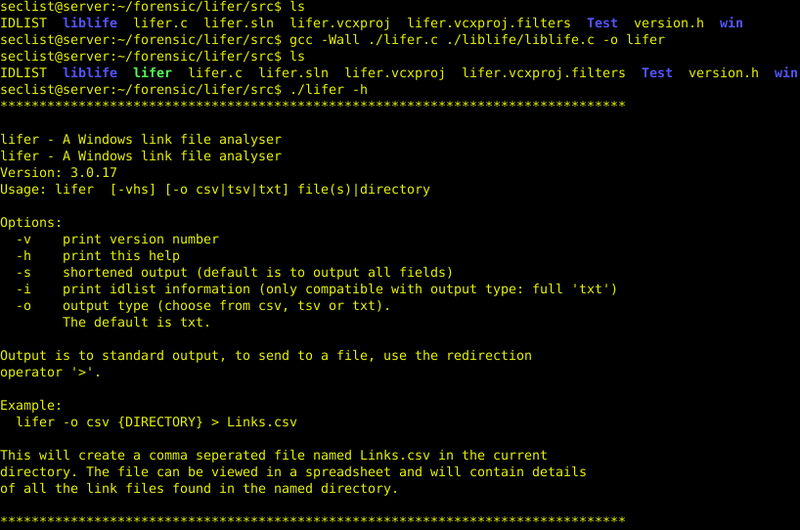 lifer is a Windows or *nix command-line tool inspired by the whitepaper ‘The Meaning of Link Files in Forensic Examinations’ by Harry Parsonage and available here (http://computerforensics.parsonage.co.uk/downloads/TheMeaningofLIFE.pdf). It started life as a lightweight tool that I wrote in order to extract certain information from link files to assist in enquiries I was making whilst working as a computer forensic analyst. Now I am retired but I am looking to expand it’s usefulness and publish it so that others can benefit. + Recognition of, and parsing of link file data within jump list (OLE) containers. 1. Left-click on File->Open->Project/Solution and browse to the lifer.sln file to load the solution into Visual Studio. 4. Provided there were no errors you should have an executable ‘lifer.exe’ file in the relevant sub-folder of your project. 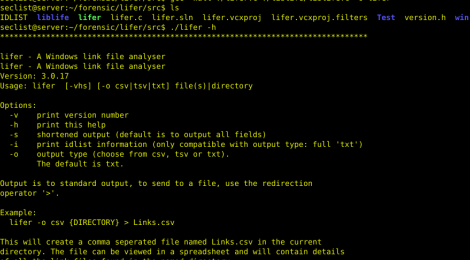 ← Tulpar – Web Vulnerability Scanner.